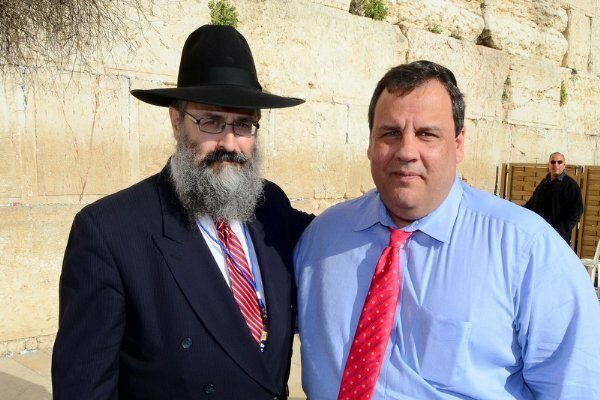 The Governor of New Jersey, Chris Christie has issued a news release reappointing three Chabad Rabbis to the New Jersey-Israel Commission. The rabbis are Rabbi Yosef Carlebach - founding rabbi and director of Chabad House at Rutgers University, and central and south New Jersey, Rabbi Mendy Carlebach - director of Chabad House of the Brunswicks, and Rabbi Leibel Schapiro - director of Chabad of the Shore. The Commission was founded with its goal to foster good relations between the people of New Jersey and the citizens of Israel. The areas of cooperation include medical research, education, and economic ties between the two states. The Commission has been active in many programs in New Jersey, and was positively charged by the visit of Gov. Christie and his family to Israel in April 2012.